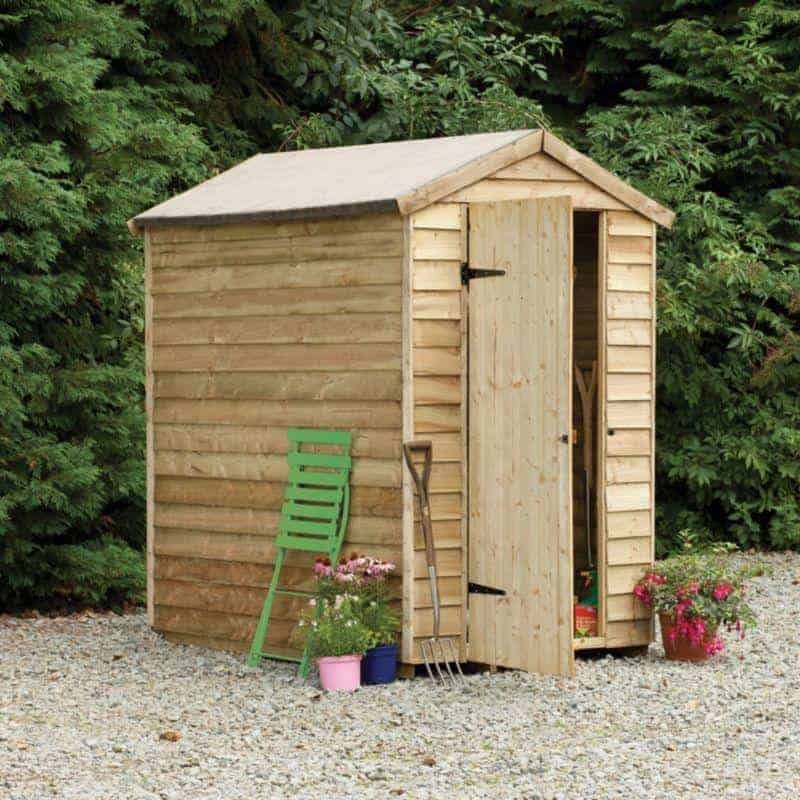 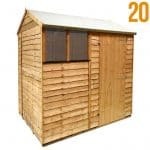 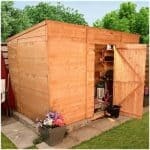 This is a small size, pressure treated garden shed which is constructed from softwood timber with overlap cladding for strength and durability. 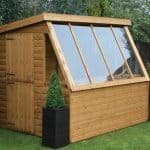 It has a single large door which mean you can easily transport large items of garden equipment, furniture or toys in and out. 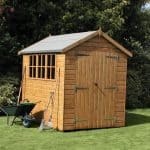 There are no windows which adds security. 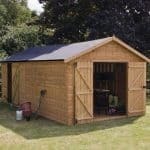 This is no doubt an attractive building which will look good in any garden. 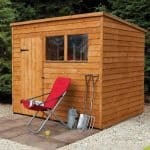 It is pressure treated with a 15 year anti rot guarantee and comes home delivered with base.